This year, the Willamette Valley Old-Time Social will offer Workshops in old-time fiddle, banjo, guitar, dance and voice beginning at 3:00 pm. Following the conclusion of workshops at around 6:00, the WOW Hall will remain open for a hosted Jam open to the community in the WOW basement concessions area (21+). At 7:15, the Social will offer a Lesson in Flatfooting (traditional buck dance) in the main dance hall, followed by the big Square Dance that runs form 8:00 to 11:00 and features two bands (Lewis & Spence, Rats Gone to Rest) and callers Marta King and Connor Maguire. The dance is open to all – you do not need a partner, nor need to know anything about square dancing to come, dance with great people, and have a wonderful time! Admission for workshops is $10, and $10 for the dance, although sliding scale options are available. Learn more about the workshops and the whole weekend of Willamette Valley Old-Time Social activities May 2nd-5th, 2019 at www.mudcityoldtime.org or visit on Facebook for the latest updates! 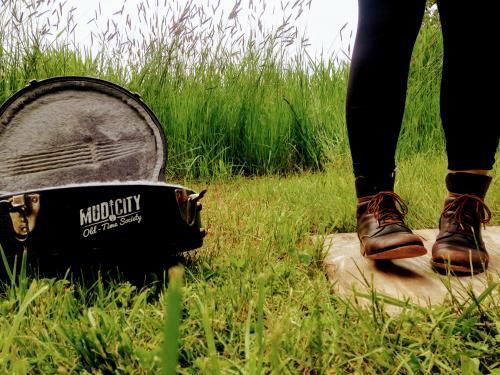 Mud City Old-Time Society is a 501(c)(3) nonprofit dedicated to supporting traditional old-time music and dance in the Southern Willamette Valley. The Society is able to keep costs very low because of the generous support of volunteers, donors and sponsors. Donations support the Social as well as the many other community jams, workshops, house concerts, and square dances throughout the year. Patrons can make a donation in-person at any event, or safely and securely online. The festival is 100% volunteer-run, and every penny helps! Can't afford tickets? There are lots of volunteer opportunities to get in FREE! The WOW Hall is located at 291 W. 8th Ave. (the corner of 8th and Lincoln in Eugene) and is open for all ages (6-11 half price at the door when accompanied by parent or adult guardian; five and under no charge). Adult refreshments are available downstairs. For more information please call 541-687-2746.